27/7 service & Unmatched customer support. *** Need help placing your ads on the radio? We have you covered! We have placed millions of dollars all over the Globe. Ask us. LISTEN TO THE SAMPLES BELOW! Since 1999, Killerspots has been known for it’s award winning creative production styles and on-time delivery. Customer experience is our priority.  Killerspots.com, Inc. is a contagiously creative, full service digital marketing, production and media Agency. Our creative offices include a full radio broadcast booth & television studios complete with White and Green cyc walls. In-house Web and Graphic designers, Social media maven’s, Inbound marketing geniuses, SEO Guru’s & “Walk On” web actors and Graphics to make your website “POP” and have the Call to Action it was meant to have. Our culture is strategy at its core with measurable results and complete customer service. We have EVERYTHING under one roof. Even other ad agencies use us. (not naming names) We have helped businesses of all sizes and budgets get that edge over their competitors. We partner with our clients to develop continuously evolving marketing approaches that dynamically adapt to their business for maximum R.O.I. Leading Brands Worldwide since 1999. Ready to start a project or curious about how we do things? Let’s talk.